I used Fancy Pants Wonderful Day to put this card together for a friend with an upcoming birthday. Lots of layering go on here (you're not surprised, are you?). The repeated text on the tag (tucked inside the bag) reads, "Happy Birthday, Rachel!" I think that pretty much gets the message across, don't you? I hope you have a wonderful day! Thanks for stopping by! This is beautiful!! LOVING the colors and the pear!!! what a sweet card, it will surely brighten her birthday! love the personalization on the tag! yep, love the layers!!!! love all the layers on your card! oooo very fun. Love the layers Lisa!! Your friend is going to love it too. Love the message tucked into the bag. Great mix of materials for this fun card! Great card Lisa!! Loving those layers!!! What fun layers! 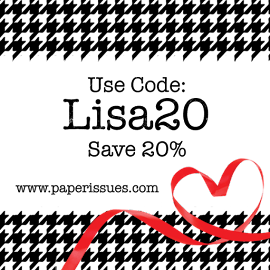 Love all the sentiments/words that are sprinkled about! Love it!! Such a fun card!!! Really like the colors in that line! GORGEOUS!! I love how you layered everything! Love all the layers, colors, and patterns! Fabulous card! Love those layers and the cute clothespin, Lisa! love this...layers, colors..heck I love everything about it! 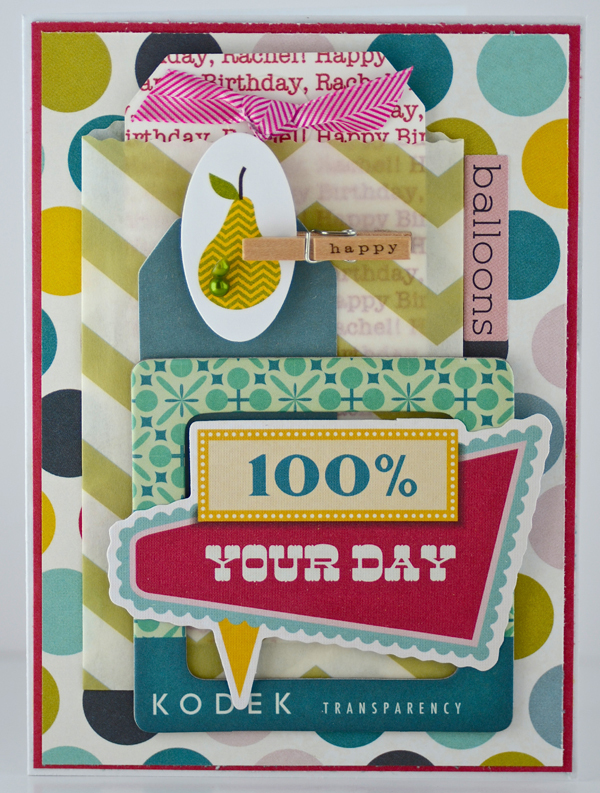 What a fun design of your card, love the bright colors too! This is so cute, Lisa. I love the repeating text on the tag. Such a fun idea. Might have to scraplift that! Great card. Lovely card Lisa! Love the touch of the pearls on the pear. The colors and layers are just awesome!! Love the paper and embellishments that you used. Just lovely.